What sections are available in Google Ads? The Google Ads section is broken up into eight different sections, each displaying performance metrics for a different type of data or from a different perspective. Those sections are Summary, Performance, Schedule, Top Performers, Geo, Insights, Shopping and Dynamic Search Ads. The first section in Google Ads shows high-level data for your entire account, campaign or ad group. The Summary section displays information about impressions, cost, clicks and more for a given date range. Google Ads account data can be further broken down in the Performance tab, which shows how your Google Ads campaigns are performing in different networks and on different devices. In addition to showing data from networks and devices, this tab also details how yourGoogle Ads campaigns perform in different ad slots, allowing you to zero in on where your ads are being clicked and where you may want to adjust your campaigns. The Schedule section in Google Ads narrows the focus to show how many clicks or conversions were driven to your ads on each day of the week and each hour of the day. This data can be narrowed further by choosing a specific campaign to see graphs for, rather than viewing data for your entireGoogle Ads account. This data is useful for optimizing your campaigns, so that you avoid paying for non-lucrative times of the day or days of the week. Top Performers displays specific performance metrics for Ad Groups, Keywords and Ads contained within a given Campaign. Each subsection of Top Performers shows all of the Ad Groups, Keywords or Ads contained in a campaign, with each metric being sortable. By default, these entries are sorted by the total number of impressions, but they can be resorted by a different metric and narrowed further by choosing a particular campaign to draw data from. The Geo section inGoogle Ads breaks down campaign metrics based on the geographic location of people who were served your ad. This section initially displays data by country, but specific regions can be seen by clicking a country with data (colored on the map) or choosing a country name in the table below the map. 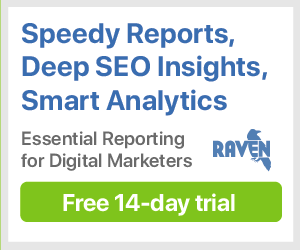 The Insights section features three tools dealing with how your specific keywords and ads are performing. For more information about the Google Ads Insights tools, see their particular articles. Google Shopping campaigns have replaced Product Listing Ads (PLAs) as the method for advertising on products in Google. This section will list all of the products that you're bidding on, along with impression, clicks and conversion data — as well as many other related metrics. The final section of Google Ads, Dynamic Search Ads, will only appear if your campaign includes at least one dynamic search ad. This isn't possible to create in Raven, but can be created in Google Ads itself. Dynamic Search Ads will display based on your website's content, displaying ads automatically to searches who may be most interested in your product or service. What data is available in each Google Analytics section? Where did Google Webmaster Tools and Rankings go? What metrics are tracked in Google Ads?